SOMERS, Wisconsin -- It was a brief taste of freedom for Joey the kangaroo who kicked his way out of a pen at a southeast Wisconsin pumpkin farm, only to be rounded up by sheriff's deputies. 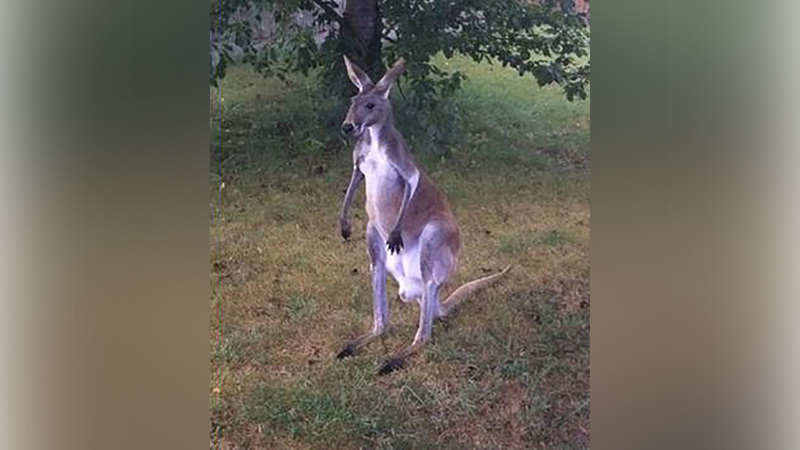 The Kenosha County Sheriff's Department received a call around 7 a.m. Thursday from someone who reported seeing an animal on Highway L in Somers, and that it looked kind of like a kangaroo. Deputies were dispatched. And sure enough, there was Joey hopping down the highway, making his getaway. Deputies figured the kangaroo belonged to Jerry Smith's pumpkin farm just blocks away. Sheriff's officials say Joey was returned safely without injury.